Plastic waste has become a constant, growing problem in the Earth environment. It kills wild creatures, litters beaches, reserves and streets, as a multi-coloured, land, water or air borne eyesore almost everywhere. How do we stop the flood?! Plastic looks like the biggest single kind of pollutant from humankind’s expansion, because of its wide distribution, physical prominence and lack of a terminal use (accumulation). But more of humanity’s pollution goes unseen. Plastic is organic carbon and represents mined fossil fuel, that as a principle warms the planet through greenhouse gas releases. We must find a different way of delivering production, to help stabilise the climate, protect ocean life and reduce weather event risks like drought, fire, storm, flood and freezing. So how should we respond? We can always buy less and find alternative products to those coming plastic-wrapped. But in many ways now, time/choice is limited. Plastic’s role in economies is unique: highly malleable, light and strong material with low immediate cost. The cost accrues long-term and needs full accounting. https://www.greenpeace.org/new-zealand/press-release/update-greenpeace-activists-denied-bail-facing-months-in-jail-awaiting-trial/ – an ‘XR’ action e.g. https://www.greens.org.nz/trash-into-cash – too little too late? Replacing coal use now, as much as possible using plastic waste as an industrial feed-stock, makes good sense – it recycles the fossil carbon and gives the waste a value that will remove it from waste streams and dumping. Keep coal in the ground, reduce new oil use to the greatest extent possible (from fractionated plastic etc.). Transition to battery, solar energy and biomass renewable fuels, for indispensable motor transport. We must have new industry along these lines, as well as completed use of all plastic. Inert, it is sequestered carbon though far too often abandoned junk. Park it safely or get rid of it properly – with safe technological processing. But either way, replacing plastic manufacture is no less challenging that the climate crisis it relates to. * A musical ‘plastic’ reference from our era, that influenced our choice of band name satirically, was Plastic Bertrand and his 1977-78 hit song. Haere mai, do join us! Editorial: Do we have to wait for the new ECan council to enforce water rules? The departure of Mike Thorley last year, to take up work in Australia, has led to a Community Board by-election in our area. I am standing and would appreciate your vote of support – Rik Tindall. Christchurch South has wonderful people and environs that, like the rest of our great city, need dedicated representation to progress. The recent Community Board agenda lists some of the many decisions we face for enhancement of our living context: local roading, parking, footbridge replacement, community gardens and the draft Sydenham Master Plan are just some. Good representation of your views on these and every local matter are essential: please call me on 332-1069 or 027-406-0077 or email rik@infohelp.co.nz to discuss them. A local resident since 1992, I am in small business / home user ICT computer support, and have tertiary social science qualifications. 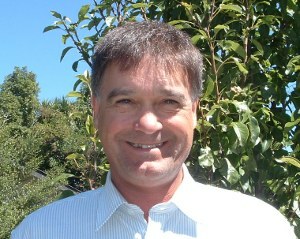 A father of one and a former regional councillor for Christchurch East at ECan – Canterbury Civil Defence and Emergency Management portfolio chair 2007-2010 – I am Vice-Chairman for the Christchurch Estuary Association, a Cashmere Residents’ Association committee member, and a keen walker and gardener. Like finished busways, we need safer cycleways and footpaths here, with new communal food projects, for resilience. Help me be your information conduit for progress. Sustainable Canterbury succeeded the Water Forum by which councillors engaged with the Christchurch East community that elected them. This website details the many ideas for sustainable economy and environment that colleagues and I worked up over the last three years – enjoy the browsing. Sustainable Canterbury group has not met since 2011, and, as no other candidates are running under the banner yet, I am therefore still a true independent: promoting the ideas and sustainable alternatives spelled out here. Personally, my affiliations have been Green and Mana, though not currently active. This all should help you better understand my politics and deep commitment to the well-being of Aotearoa New Zealand and its citizens. Maintaining clean public water supplies has been top priority for me since 2007, through the Save Our Water campaign. Now I undertake to do my best for you and your wider interests, in the whole city rebuild. I have a strong sense of social justice and want us to democratically all thrive and prosper together. 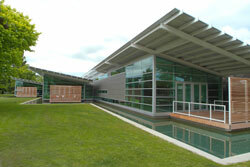 The Spreydon-Heathcote Community Board meets at the city council’s Beckenham service centre, at 66 Colombo St – South Christchurch Library. Civic duty: Council Elections – Spreydon Heathcote Community Board member, voting closes at 12 noon on Friday 11 May 2012 – see CCC notice. Helping a legitimate and peaceful housing protest – and global movement for democratic progress and sustainable change – to get back on track: Occupy Christchurch speak: #OWS O:Chch « Rik Tindall blogs + The last tent comes down at Occupy Christchurch – day 164. Urgent attention must be given to the plight of elderly people stuck in earthquake-hit suburbs, one council candidate believes. Political campaign work throughout Burwood-Pegasus ward has been useful for establishing priorities, Rik Tindall says. The fate of much public housing remains unclear. “Secondly, the government compensation system is destroying some older people’s spirit, with its added layer of uncertainty. Those that have insurance payouts for damaged houses but are stuck with land they cannot sell just want to move on,” Tindall reports. “These elderly citizens don’t have the will or the energy to reinstate damaged grounds, and require a special form of assistance soon,” he says.